Communication is the cornerstone to business – we all know this. What really matters is good communication. The key components to good communication are active listening – which means that you know you’re actually being heard – and trust. But how can you be sure your business has good communication happening with your customers? In this day of social media prominence, it’s easier than ever. This is where Twitter, Facebook, LinkedIn, Instagram, and all the rest bring a real (albeit passive, unless your company has an active Internet Marketing department) value to the enterprise. Few things are more important to success than happy clients who don’t hesitate to talk about and share their experience with you. Word of mouth translates directly to conversions and new accounts. The most valuable kind of feedback any enterprise-minded group could ask for, whether it’s always an entirely pleasant experience notwithstanding. What could be more valuable than being told in black and white terms how you could be doing better work or be providing better service. This is where identification of your organization’s weaker points is served to you on a silver platter. As much as we all prefer to believe that logic and rationality guide our decisions, the truth is that more often than not people’s choices and preferences are determined by an emotional choice or, even worse, an emotional reaction. The intelligent businessperson will be mindful of the lasting effects of these patterns. Emotions are the core of both short and long term consumer decision-making and the key to a solid marketing plan. 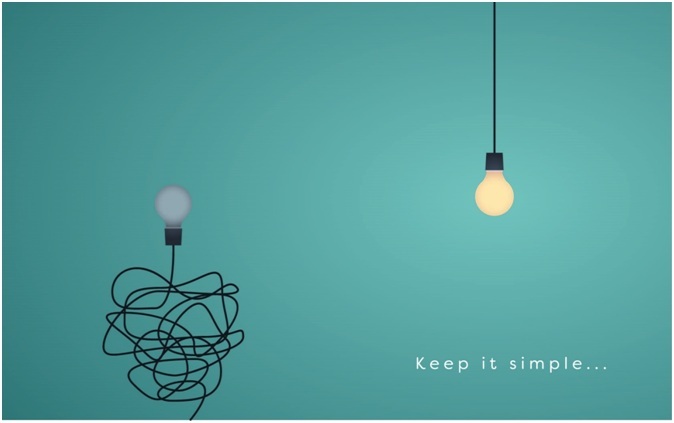 There has been a recent wave of research that is proving incredibly useful to market players and it tells us two primary things: brand loyalty is dying and, more than any other factor, people want simplicity. Harvard Business Review conducted a series of deep studies with over 7,000 consumers, hundreds of interviews with marketing executives, and other global experts. They coined the term “sticky” to refer to a consumer who is “likely to follow through on an intended purchase”. After much research, they found that the single biggest factor toward “stickiness” was decision simplicity. With global consumers so inundated and overwhelmed by constant attempts to engage from every corner of every market, it’s no wonder people want something simple and straightforward. The end game here is this: what enterprise could be in a better position to take advantage of all this than one that doesn’t just talk about making things simpler for their clients, but actually delivers it and streamlines their communication methods for their respective consumers. UC software cuts out the bulk and hand-me-down tedium of centre-based customer service and call lines, delivering the customer the time-saving efficiency they want. Building your own call tree and utilizing mobility-enhanced services not only frees up employees, it drastically reduces the potential for lost calls or customers hanging up in frustration. Call monitoring and analysis gives your managers the tools to collect the data that will allow you optimize the customer experience with your company and engage the customer with direct feedback options – thus giving you even more information by which to improve operations. In all, understanding the principles of business communications, marketing techniques, and the evolving way the information is being applied allows you to stay well atop quirky markets in an environment of so much transparency and so little brand loyalty. Let your actions speak louder than your marketing and choose to deliver streamlined and simplified communications for those that are most important to you – your customers.